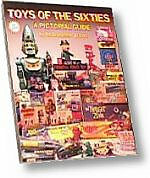 This book is filled with over 1,000 photos of everyone's favorite '60's toys, along with written descriptions, price values, history, trivia and many anecdotes. "What a flood of memories this book brings back! 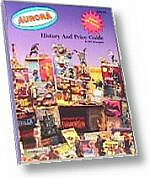 Obviously, it's a valuable reference guide, but it's also great fun to browse if you grew up when most of these toys were new." 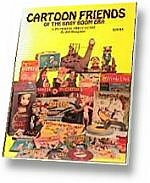 Nearly 1000 vintage cartoon toys and collectibles from 1946-1970 are photographed, described and appraised. From Atom Ant to Winky Dink. Includes five chapters of text, history and interviews. Photos of both boxed and fully assembled kits are shown. Each kit is fully described including scale, markings, variations and prices on boxed, assembled and factory displays with current price values. Created by Cogneato Interactive · Cutting Edge Internet & Media Development. Copyright 1999 Toy Scouts, Inc. All Rights Reserved.